Funny-man turned Senator, Al Franken fired off a letter to Carrier IQ on Thursday regarding the company’s questionable practices. Carrier IQ has come under question in recent weeks after Trevor Eckhart revealed a major HTC security hole which led him to Carrier IQ. The software, which comes preinstalled on many smartphones, claims to assist OEMS and carriers in tracking device performance and problems. However, it is believed that the software gives both carriers and OEMs the ability to spy on users, even tracking which numbers are dialed, message content and much more. Sprint admitted to The Verge that the carrier does in fact use Carrier IQ, but claims it is just for analyzing network performance. Sprint says it collects “enough information to understand the customer experience with devices on our network,” but that it can’t look at the contents of messages, photos, or videos using Carrier IQ. 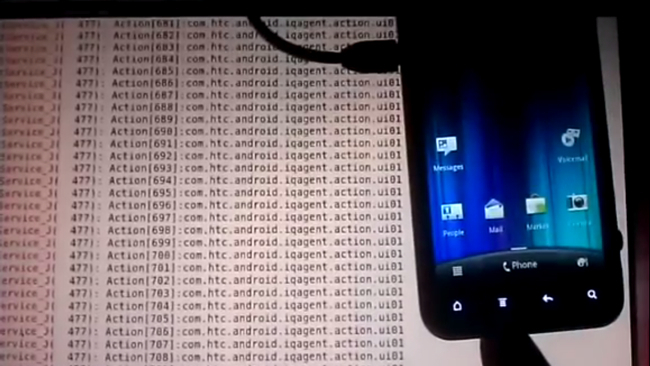 However, the original story broke when an HTC EVO 3D was shown logging keystrokes and call information. Senator Franken has given Carrier IQ until December 14 to answer his concerns, until then you can sleep soundly knowing Verizon doesn’t use the software. Galaxy Nexus Hackers Rejoice, Google has Released Factory ITL41D Images - Bootloader, System, Recovery, Etc.